Vishal & Shekhar Take On A UK Band - "Beliya" Is AWESOME!! The amazing voices behind the chartbusters “Zehnaseeb”, “Ishq Wala Love”, “Khuda Jaane”, “Chammak Challo” and many other super hit numbers are back with another one. This time, Bollywood’s favourite music director duo has collaborated with the UK based band “The Vamps”, and they have created an amazing song called “Beliya”! 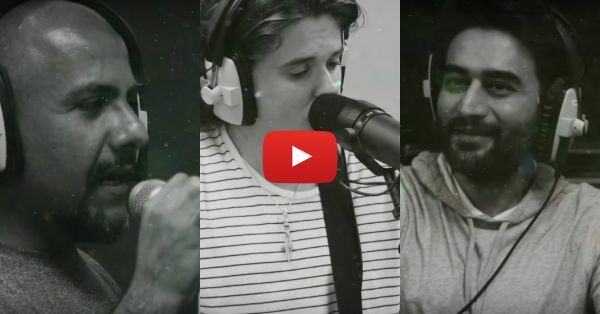 We cannot get over how amazingly The Vamps have sung in Hindi (yes!). We really like this song and we’re probably going to listen to it again… Actually, we definitely are! Till then, you go and hit that play button, and don’t forget to share it with all your friends... Also watch: This Medley Of Your FAV Atif Aslam Songs Will Steal Your Heart!